a slump is something like a light scone mix made with buttermilk but in our case, yogurt, spooned in dollops over the fruity mix. These swell, rise and turn golden while cooking but the rise turns into a slump! Buttermilk gives a light texture to scones, bread and cobblers but use light yogurt like I did and I’ll bet the texture is even lighter! Actually, the texture is probably more like cake than scone. 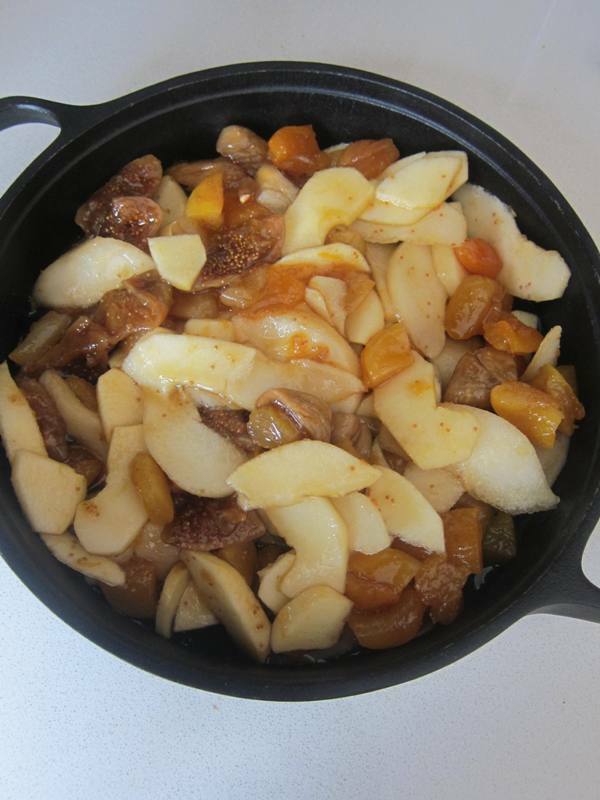 I really went for the ingredients, a combination of dried figs and apricots with fresh apples and pears sweetened with runny honey and brown sugar just to add to the mm factor. As we all know, Turkey does such wonderful dried fruits or kuru yemiş as they are called here, that any dessert using them will be moist and packed with flavour. I hopped off to my local aktar to buy the figs and he offered me these: they have been left to dry on the branch, hence the wrinkly rounded shape. Pre-heat oven to 200C/180Cfan/400F/gas 6. 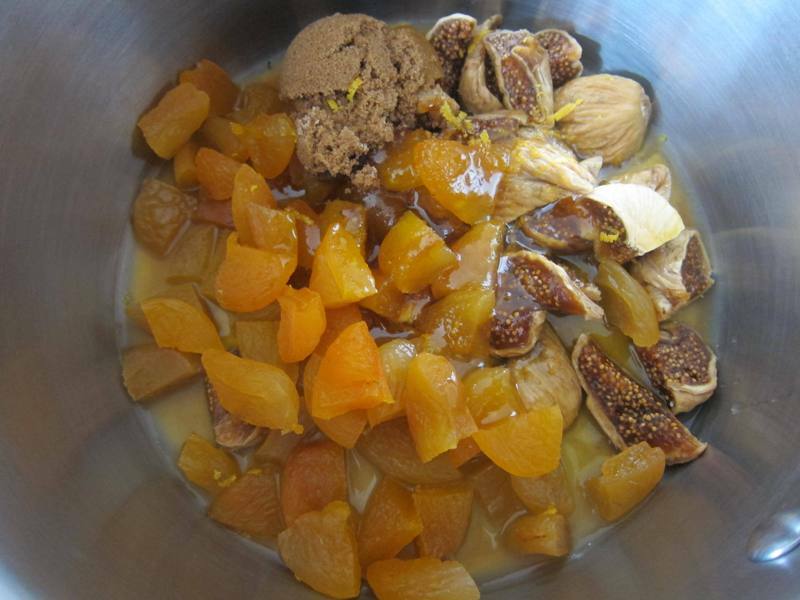 Quarter the figs, apricots or prunes. Put in a saucepan with the lemon zest and juice, honey, sugar and 100ml/4fl oz water. Bring to the boil, then reduce the heat and cover. Cook gently for 5 minutes. 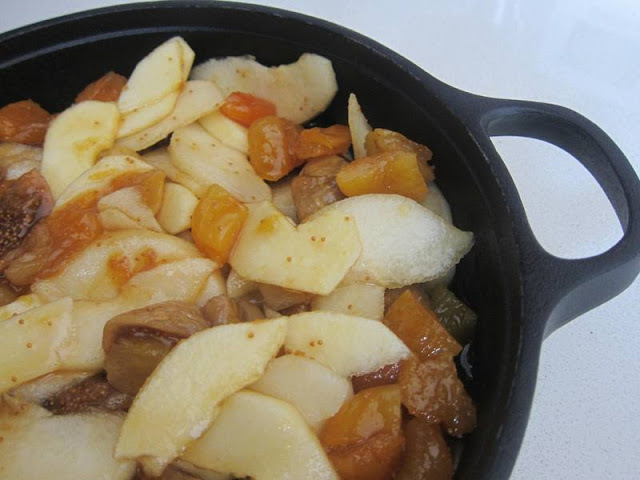 Stir in the fresh fruit and turn into an ovenproof dish. 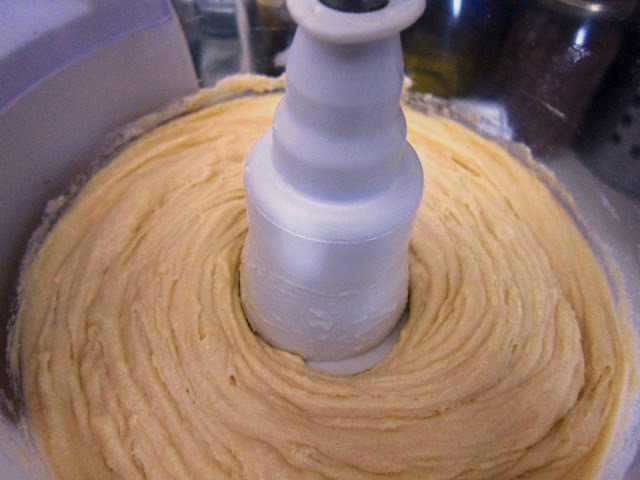 put the flour and butter into a food processor and blend to a fine breadcrumb consistency. Add the sugar, egg and buttermilk/yogurt and blend again to make a thick paste. 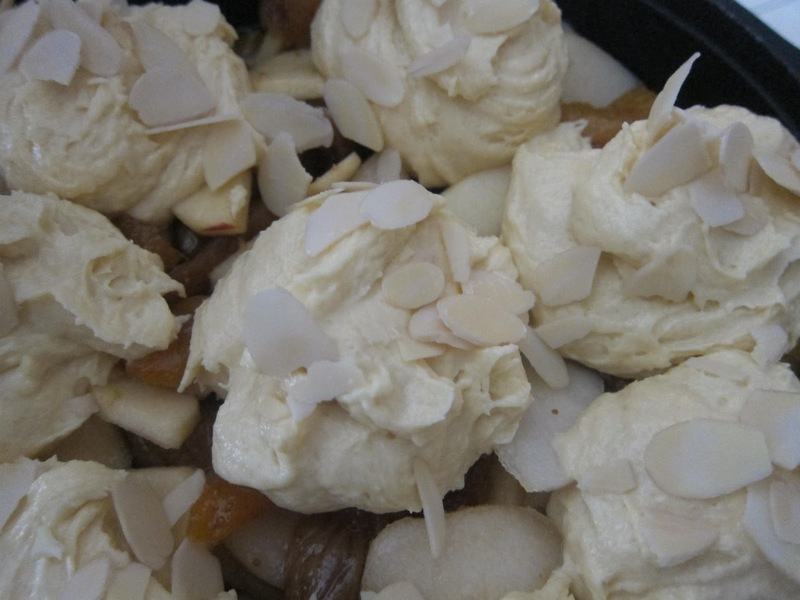 Spoon on top of the fruit and sprinkle with the almonds. Bake for around 25 mins, until the topping has risen and is pale golden. (It needed about 15 minutes more in reality). 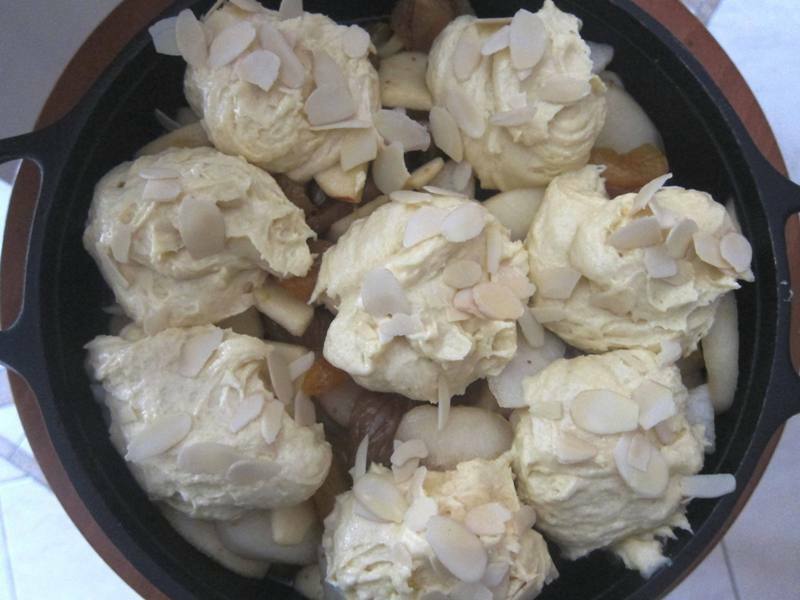 A delicious dessert for family or friends alike! 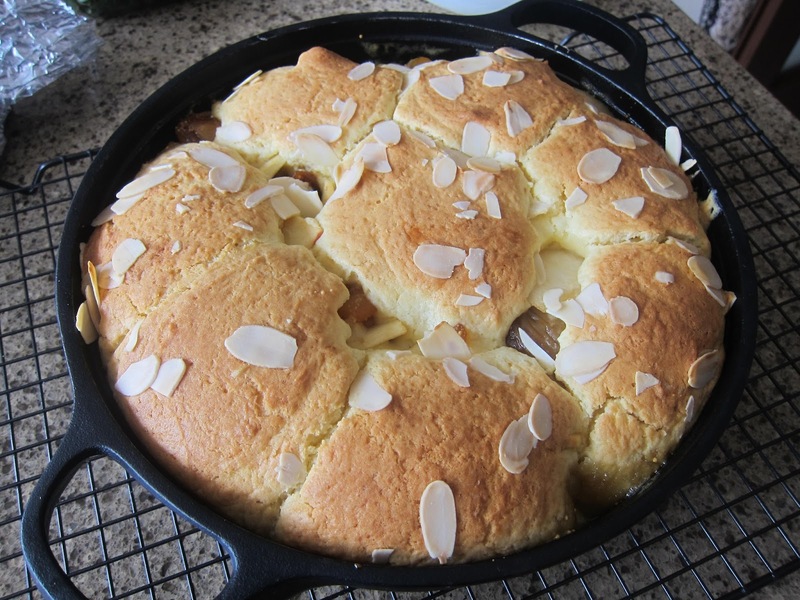 I've heard of something like this being called a fruit cobbler, but first time I've come across a slump. Ooooo!! This looks so incredibly delicious!! I can’t wait for figs to be in season again…I’m bookmarking this one! Lovely! Hi Kathy! 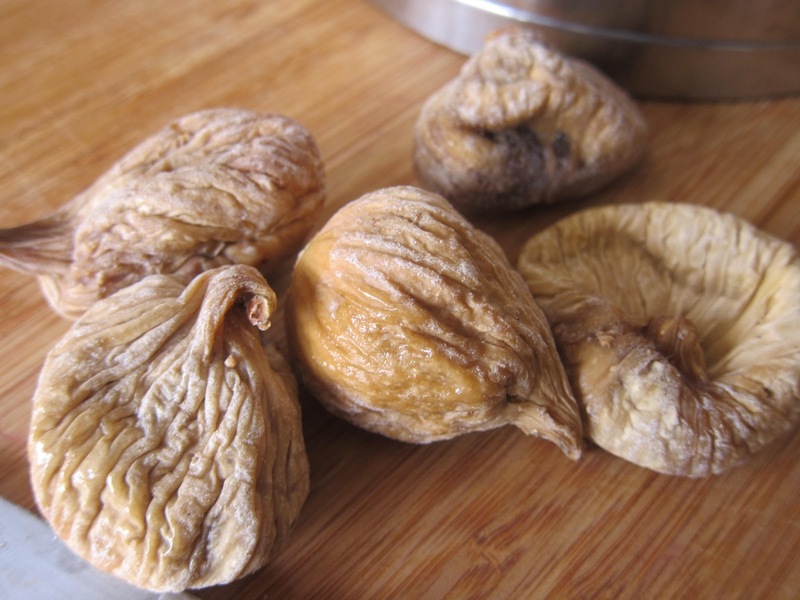 These figs are dried, don't forget! The only fresh fruit is the apples and/or pears! Looks delicious! I grew up eating blueberry slump and still make it to this day. 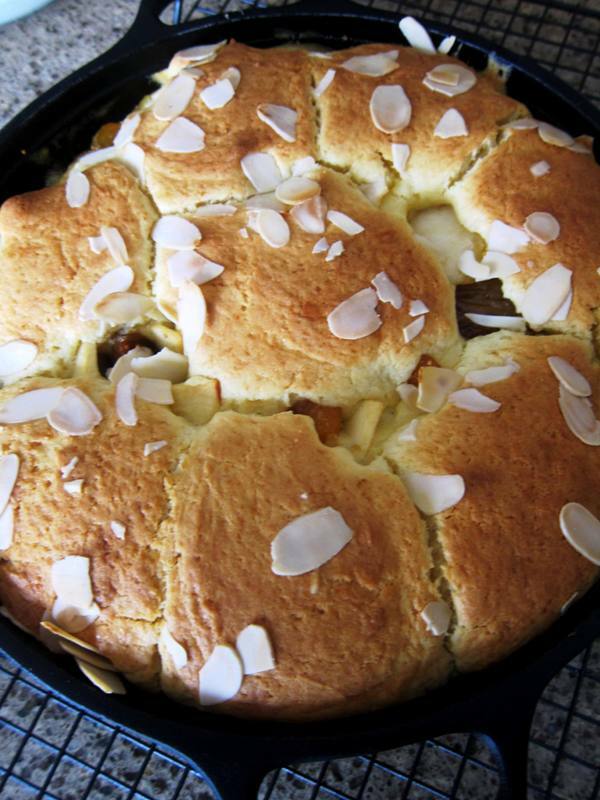 This one with the almonds in the batter looks divine! Definitely a new term for me. When I Googled "Slump," quite a few different recipes came up. I definitely like cobblers, crumbles, crisps and I am sure I will Slumps too. Hi Michel! How are you and Shirley doing? Yes, I think we all learned something here: that slumps are delicious! oh don't you like them? We absolutely ADORE them dried or fresh!!! Özlem, Crustaceanisland, thanks for your lovely comments – ! Slumps, here we come!